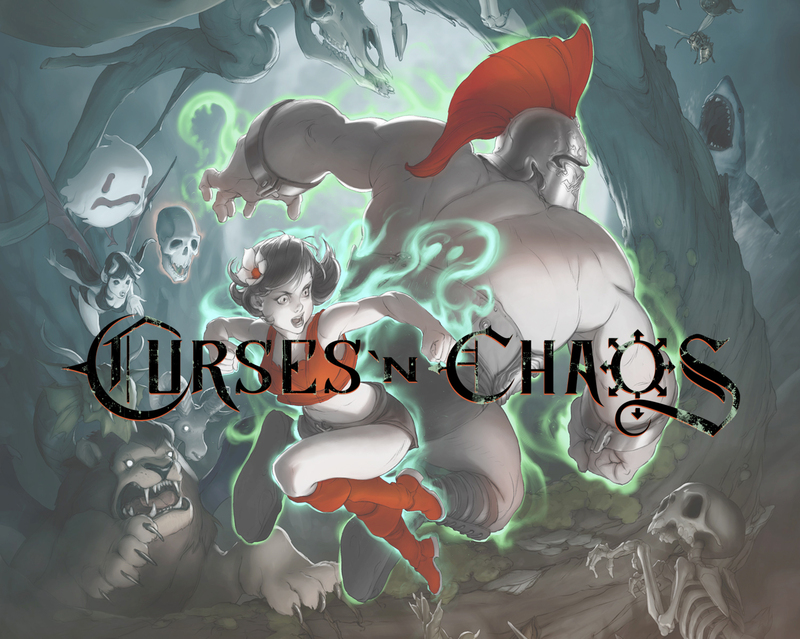 Curses ‘N Chaos: Time For The Monster Mash, Retro Style! | "DESTROY ALL FANBOYS!" Curses ‘N Chaos: Time For The Monster Mash, Retro Style! As you can see from the those two nice slices of game footage, the game screams NOSTALGIA in big blocky neon letters and everything from the lovely and well animated pixel art to the sound effects just plain WORK. The game is an arcade style scrolling brawler with plenty of cute but deadly monsters to kill and what looks like some challenging boss fights. Players can expect some classic couch co-op action along with online play for those of you who want to hop on the internet and make a few new annoying friends you’ll never meet in real life. Or you can avoid getting an elbow to the head from that “friend” who likes to distract you when he or she pops over for a visit and any game you play turns into an actual fight for survival. Anyway, some gamers are tired of these bit-crazy retro games, but those are more than likely gamers who think “good graphics” circa whatever will blow up their PC’s 3D cards make a game worth buying. Foo to that. Curses ‘N Chaos will probably make some of those folks bust a controller over their collective kneecap because it’ll be too tricky for them to complete. Or perhaps some small amount of respect should be given to indie developers like Tribute that make games that keep the flames from the past burning and unforgotten? That’s a big, fat “Yep” from me. More on this one in a bit. This entry was posted in 2015, Commentary, DAF, Holiday Gift Guide 2015, Humor, Updates and tagged BUY This Game, Coming Soon, Curses 'N Chaos, Digital Games, Exclusives, In Development, Indie Games, Indie Gaming, Nostalgia, PlayStation 3, PlayStation 4, Playstation Network, PlayStation Vita, PS Vita, PS3, PS4, PSN, Retro Games, SCEA, SEN, Sony, Tribute Games, VGA 101, Videogame Appreciation 101, Videogame Trailers by geelw. Bookmark the permalink. And co-op as well, very nice!